Space and fonts are two important components that carries a hidden communication on the seriousness of not only your website, but your business. Arial, Comic Sans, and San Serif. The issue that challenged us webmasters at the time was matching the fonts we wanted to use for design to the fonts installed in our client’s computers. If the client’s computer did not contain the font used by web programmers, the browsers would display the text with a different font. Today that conflict is no longer an issue. Most computer operating systems are installed with thousands of fonts. Webmasters are free to create using the fonts with little concern of on how text will appear on the client side. The beginning of a paragraph. It’s recommended to use a font size of 10pt – 14 pt with colors in complete contrast with the background (i.e. Black fonts with a white background, yellow fonts in a blue background, etc). want a website that uses an elegant font like Pristinaor Vivaldi. How do you know which is the best font to use? Study your competitors? Adding Pristina font to a website about beat up old Ford truck is like driving a beat up old Ford truck to your prom. Now let’s talk about space. Keep in mind that a computer screen is light! A very bright light. Turn off all the lights in the room except the monitor and you’ll still be able to look for those car keys. With your face 24 inches away from the monitor your eyes will get tired after some time. When the eyes get tired the result is a 20% slower reader than paper! To spare your viewers from this pain you must take into consideration of space, alignment, and clutter. left, right, center, and justify. Paragraphs aligned to the left are the most common and are easy on the eye. usually websites that are involved in poetry or art. edges in the paragraphs it forms. Justify alignment limits jagged edges. Both sides of a paragraph remain straight, promoting a good reading experience. What would you think about a person who’s closet looks like this? Clutter denotes low self-esteem. A well-organized closet portrays self-respect and confidence. Similarly, a cluttered website will communicate that you don’t care what people think. A well groomed and designed website will enhance your image. Here are some tips on space and layout:Avoid scattering images all over the pages. Here are some simple rules to follow about clutter. Links should be placed on top or on the left side of the page and maintained at the same place throughout the site. Use no more than two images embedded into a single paragraph. Lets look at the examples below. The company had us re-design the website from what it used to look like on the left, what it looks like on the right (much better). Use appropriate fonts, paragraph alignment, and clutter. Make it easier for your clients to read your text and they will keep coming back. I n a nutshell, social media is a means to collect names and emails in an effort to draw that audience to a website. The concept of social media is turning out to be more important than even SEO. I have people who disagree with me and that’s okay. 1. You are advertising your competitors: When a person types in specific search terms they will get a list of websites, yours and others! A prospect may not automatically click on the first listing. They will look at the description line and then make the decision to click. 2. Offers very little information: Here is where the description tag comes in very handy and can set it apart from the other websites. Otherwise, you become a commercial in the midst of a DVR fast forward. People will miss your message. 3. Does not guarantee a click through: I know people who’s website is on top of the search engine but no business. Why? Because there is no connection established between the viewer and the owner of the website. Audience building aims to solve this issue. Connection is the key to business. God made us to interact with each other. The beauty of social media is that it brings that connection between you and the prospect before entering your site. 1. Create a Name / Email collection form on the top portion of your website. They say in real estate that the value of a home is location, location, and location. Well the value of a website is database, database, and database. The more people coming into your website, the more value it retains. Facebook is worth well over $60 billion with its 750 million participants. 2. Establish a presence on all the Social Media websites and take part in the action. Well we all know about the Facebook and Twitter, but people are not aware of the some 500 other social media websites such as Friendster, Bebo, and let’s still not forget MySpace. 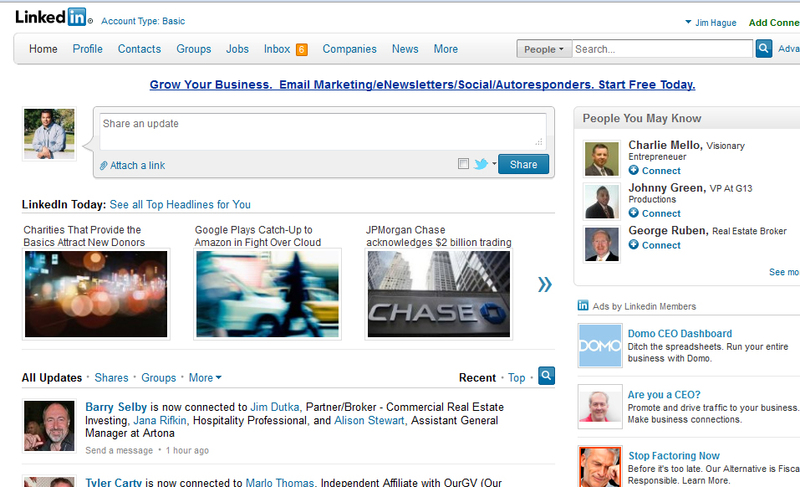 Establish a presence in them and communicate your company news and products. Have a Facebook fan box on your website and blog. Watch the audience grow! Yes I know. A pain to do. But then again so is driving in traffic. Blogging is a terrific way to communicate the latest happenings of your business and educate the public about your area of expertise. This article was written by me to you. It shows that I am an expert in the field. You don’t have to write a book or even a 1000 word article. Instead just write a paragraph and share it. Share your thoughts, your ideas, and let the world build upon. WordPress and Google’s Blogger are the two recommended blogs. When you are done blogging, copy and paste them on to the social media websites. Exchange links is to share an audience. Create a small banner and ask another website to place it on there. If not an ad banner then a simple text link. In turn, you do the same. Now your both share an audience as the websites offer publicity to each other. This remains to be seen how big it grows, but it’s pretty big now. Hand held devices is now climbing to be the number one most utilized devise to view the web. Sending out text messages for those who accept them increases the likelihood that your message will be read. Selling items on the website and relying solely on search engines is like having a mini-part in the desert. You need to inside a mall with the foot traffic. If you have a product to sell then you’ll want accounts on the major sites such as Amazon, PriceGrabber, and ShopZilla. It’s where the people ready to bring out their credit cards. With a growing email list you’ll want to send out a newsletter once or twice a month. It’s a simple way of saying hello. In my newsletters I often add my educational piece along with a private message specific to my clients. Keep sending and hope for the best. Chances are your recipients will forward the email to a friend or colleague. Well it’s that special time of year again. For those of us fortunate enough to be in a happy relationship, Valentine’s Day’s a day of honoring the spark that brought couples together. My wife and I will probably go to ‘Dave and Busters’ at the Ontario Mills Mall. Not the most romantic place, but it was the site of our first date. Nearly 24 months later, we married. How did we meet? A little website called ‘Eharmony’. How did we know enough to give each ther chance before we even set eyes upon each other? It was our profiles. As a small business owner I have my profile on various websites like Facebook, Twitter, Linked In, Plaxo, and Craig’s List. I meet potential clients at Starbucks or Coffee Bean. How did we know enough to give each other a chance to do business? It was our profiles. The issue with online profiles is the competition. Everyone is doing it! If you don’t have a profile somewhere, you are like that one dark house ina neighborhood block with no Christmas lights while the rest of your neighbors’ homes are as bright as the stars. 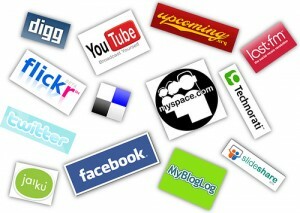 There are literally thousands of social media websites out there to generate interest for your goods and services. Here are some tips that can help your profile stand out more so than the others. Before you begin to contemplate on a profile, ask yourself who are you looking to associate with? Are you looking for upper class movers and shakers; the start up business owners; or those poor artists, musicians, and actors with little or no money. Whoever the audience you are targeting, that information must be conveyed on your profile. In romance, it’s said that opposites attract’. Just ask the divorce attorneys. In business, opposites do not attract, like minds do. If you are a white collar professional then upload a picture of you in business suit. If you are a white collar professional representing blue collar or lower in come workers… upload a picture of you in business suit! Represent your profession before you represent your clientele. If you are a cook then wear a chef’s outfit. A police officer, wear a uniform. Your smile should be welcoming, like you are ready to shake hands. Look right into the camera, stand straight, and display confidence. Thefield-of-view for most pics should be from shoulder length on up. Look good because you never know who’s looking at you. While it’s not necessary have professional quality photos (though I recommend it), the secret to good profile picture is good lighting. A dark picture subconsciously turns people off. Women, if you show more skin then necessary you may attract the wrong crowd. Finally, do not post a picture from the past. All pics should be recent and decent. In romance, this is taboo and will cost you a second date, maybe even the second minute. In the business world, when you lie about your picture, how honest are you in business? Keep the bio short and to the point. In a business profile, write more about what you have to offer to a customer more than about yourself. I like the three-paragraph rule. The first two paragraphs should highlight your career. I have been in web design and internet marketing field since 1996. In that time I have produced over 400 websites and over 90% of my clients are on the first page of the Google search engine. Visit my website, www.crystaldi.com. outstanding achievement for a children’s website in www.gotfossils.com. We specialize in all websites, ecommerce, database, and SEO. Then finally, the last paragraph should list extracurricular involvement and your education, so as long as it involves business. Arizona State University. I am an ambassador for my local Chamber of Commerce. I also enjoy teaching students the art of web design. For my work in web design, a smart customer will look at my portfolio. The more projects I list, the better I look. List all work activities performed over the years so as long as it ‘pertains’ to your current business. If you changed careers, list activities for your current career first. I was a microbiologist 14 years ago and have not worked in that field since…thankfully! My prospects may not find that information helpful so why waste their time reading and my time writing material that does not ‘pertain’. List all professional groups you are involved with that‘ pertain’ to business or include business people. For example, Rotary, Chamber of Commerce, Knights of Columbus will look great on a profile. On my Linked In profile I listed my being freemason. Now the Masons are not a business group, but many of the nation’s top business leaders are masons. List your honors and awards that ‘pertain’ to your business, even if it was achieved years ago. When writing your accomplishment, show pride in your work, but don’t brag or put down your competitors. No one likes arrogance, be it business or romance. Finally, what other customers say about you is the final icing on the cake to land a project. Call your clients, have them email you a testimonial, and post it up. Post several testimonials but don’t overdo it. Make sure you list the person’s first name and their positions. Of course in romance getting testimonials from former companions may lead to more former companions. If you have any questions, email me at info@webtipstv.com or visit my website at www.crystaldi.com. The predator has one goal and that is to have an intimate physical experience regardless if it’s against the child’s will. long scars that may never heal. predator is a monster and should be treated as such. can sympathize the fact that many predators were victims themselves. Unfortunately, the predator has found a new tool in addition to their deranged mind…the Internet. screen these predators can make themselves into anything they want. reality of their family and friends. sheep graze, the Internet offers chat rooms and social networking sites. It’s very challenging to catch a predator at first because they hide behind their online profiles. without first taking to them. Limit your child’s participation on too many social media websites. Allow them just one, like Facebook. not let you child create online accounts by lying about their age. know who the other person is. their private emails for use of social networking. Always know your child’s username and password. Go into their account and make sure that all interactions are safe. when you enter the room. Have the computer in common room. A child who is involved with an online relationship with a predator wants privacy. predator sends gifts as a way to lure your child. Use online parental controls like the ones built into Windows 7 or Vista. Do a search on ‘parental controls’ and you will have plenty to choose from. Explicit photographs found on your child’s hard drive. Gather all materials on a disk (or bring the computer itself) and report to police. So never ever scold or punish a child for attracting a predator. It is not their fault, it’s the fault of the predator. The predators know this. Now you know this. Using this article (as well as others) I hope we do something about this. Some financial analysts declared that we no longer live in a bad economy. Instead we are witnessing the emergence of a new economy, one that caters to online transactions. As a result, entrepreneurs are establishing more online businesses than any other time in history. Here’s why. The Internet revolution, armed with computers, hand-held devices, and eventually our televisions have taken away the old method of business and the way we live our lives. Once considered to be the playground of the younger generation, has evolved into a powerful business medium for all generations. Creating an online business requires little start-up capital. If one business does not work, it’s easy to pick up and start again. In fact, it’s not unusual for many entrepreneurs to operate multiple websites at once, thus creating multiple streams of income. The resale value of a website is not based on revenues, but by the size of the database of names and emails. Facebook generated revenues of 1.5 billion in 2010. With its nearly 600 million users Facebook’s net worth is estimated at $50 billion. Google’s revenue topped at $6 billion. The company estimated net worth is about $153 billion. Create a Business PlanSome things never change. Like any business it all starts with a plan. Set goals and how to achieve them. Use the services of the Small Business Administration (SBA) for guidance or go to www.sba.gov. Use a flow chartA flowchart is the blue print of a website (see illustration below). It is an illustration of connecting boxes and lines to define navigation and functionality. Hire a Good WebmasterThe Webmaster is the most important investment for an online business. Find a Webmaster who has worked with start ups and understands the mission of the business. Keep It SimpleDon’t overwhelm consumers with too many features, functions, and content. That’s like serving the appetizer, the main course, and desert at all once. Add new content over time. It keeps the consumer interested and returning to the website. Collect Names and EmailThe key to a successful web business is not just search engine placement or social media. ‘Communication’ achieves success. When new articles are published or products and services are added, inform consumers with a mass email campaign.That’s not to say that Search Engines and the Social Networking websites are to be ignored. However, without communication, the consumers will lose interest and move on to another website. Optimize for the Search EnginesAsk the Webmaster to code the site for the best search results. This takes some time, however, unless pay-per-click is utilized. It’s recommended to first exhaust all free forms of advertising on search engines ranking prior to taking out the credit card. Use Domain Names with Keywords. Search engines favor domain names with embedded keywords. If a guy named is Jackie owns a donut shop in Cincinnati. Instead of Jackiesdonuts.com he should consider Cincinnatidonuts.com. More people search for ‘Cincinnati’ and ‘Donuts’ before they search for ‘Jackie’. Use Videos more then TextGoogleTV is already a big hit and is expected to grow. Eventually Internet content is going to the TV. That means less reading and more watching. Use videos for special instructions and to communicate important facts about your online businesses. Blogs and Social NetworkBlogging is a powerful method of generating visits and top rankings from search engines. Viral videos can achieve the same results. Publish an article on a popular blog site such as Blogger or WordPress. If a video has been developed then upload it onto You Tube. Then inform fellow members Facebook, Twitter, Plaxo and any other social networking site with over a million registered users. While a price maybe involved, advertise on a website with high volume traffic. This attracts a new audience independent of search engines and the social networking sites. Having an online business does not dismiss the notion of a one-on-one interaction with a prospective consumer. Create business cards, brochures, and go out and network. After shaking hands with prospective consumers, collect their business cards and add the information on your database. Rare is a website that achieves overnight success. However, with patience, perseverance and a good marketing plan the return of investment will prove worth it. Happy New Year! Visit my website at www.crystaldi.com.